Displayed here in cross polarized reflected light, this uncovered thin section specimen of NWA 3358 covers almost the entire surface area of a standard thin section slide. It is the largest panorama I have stitched; composed of 187 images — created from focus stacking 3,238 images. 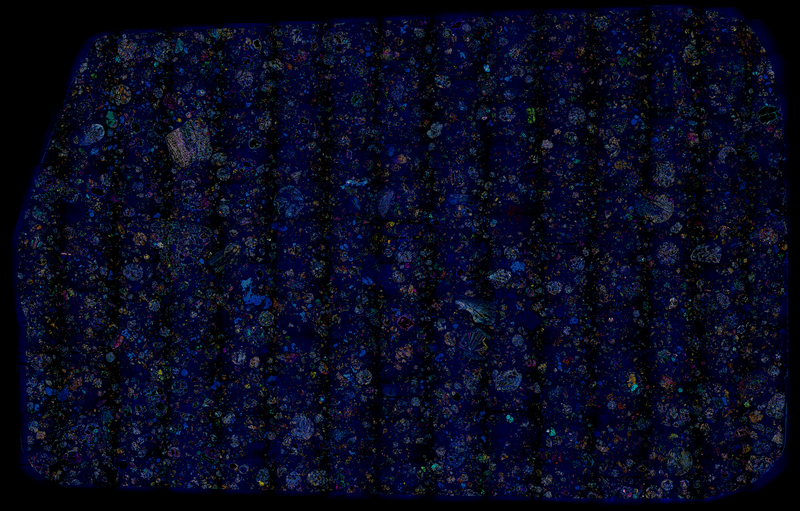 However, I was not entirely happy with this first uncovered thin section panorama. My CCD had a difficult time capturing the wide spectrum of luminosity and I think I found the best exposure given my equipment limitations. I did include an alternate version modified with a false-color technique which I think displays the features better than the original. 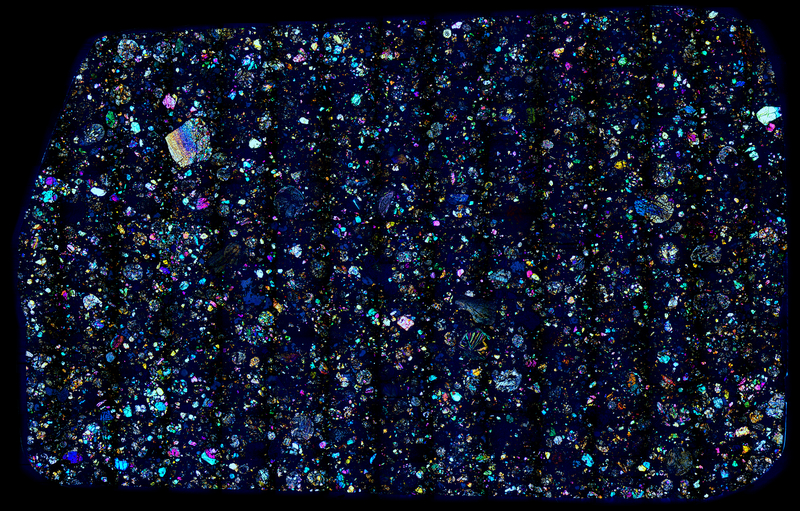 In addition, see Meteorite Thin Section Gallery for a few more pictures.